. Published on Thursday, September 1, 2016 . Being a part of the millennial generation has opened my eyes to a lot (besides the amount of people who think we’re lazy and narcissistic). I learned that millennials, myself included of course, often have this romanticized idea of leaving everything behind in pursuit of something greater—exactly what, we never really know. It’s in everything we do: we apply to colleges in far away lands with the hope we’ll actually have the courage to go; we take every opportunity to venture away from the little bubble of our homes to explore other cities; and we dream of moving cross-country and “finding ourselves” in a new, shiny place. This generation boasts fierce independence, which is awe-inspiring, but somewhere along the way, there was suddenly no more room for being in love. Years ago, I remember hearing Lady Gaga say, “Some women choose to follow [love], and some women choose to follow their dreams. If you’re wondering which way to go, remember that your career will never wake up and tell you that it doesn’t love you anymore.” It instilled a fear in me that one day, my partner might hold me back from achieving everything I ever wanted to. And after seeing my own peers embody this very quote, I was just about convinced that maybe there really was no time to be in love in this day and age—that maybe choosing to love would mean losing out on something else. I was suddenly afraid that I wouldn’t get to experience the fun, freedom, spontaneity and adventure your 20s are supposed to be full of. At times, these very doubts ravaged my own long-term relationship, unbeknownst to my significant other, but fortunately, before my impulses could drive me to make a horrible and heartbreaking decision, I realized that being in love in your 20s doesn’t necessarily have to mean you are being held back. Because so many of us believe in this, it’s hard to open up to others or even believe you are worthy of being in love just because you aren’t exactly ready to love yourself. Of course, there is no rush, but in all honesty, being in love has helped me love myself more, if anything. My partner has shown me exactly how I’m supposed to be loved and treated, so that is how I have learned to handle myself. What better time to fall in love than when you’re young, hopeful and untouched (for the most part) by the ugliness adulthood comes with? With that said, what age do we really even know what love “truly” is? 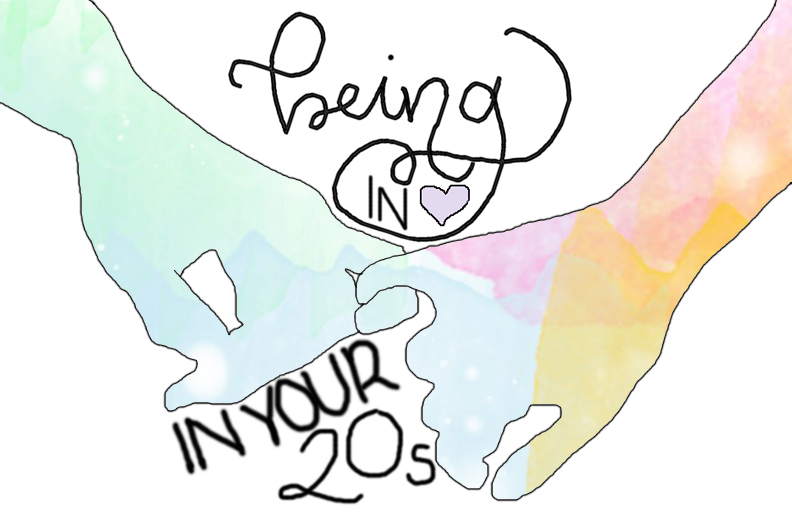 It’s probably safe to say we’ll spend the rest of our lives learning over and over again just what it means to love and be loved, and your 20s certainly isn’t a bad place to start. It’s one thing to recognize your need to let go of a toxic relationship or actually feel suffocated or held back by your significant other; it’s another thing to learn how to grow with the person you love. There will always be important things to think about: college, careers, families, mortgages, children, retirement—you’ll be single your entire life if you keep telling yourself there are more important things to think about. Take those important things and learn how to grow into them with your partner; what’s important to you should be important to him or her as well. Being a millennial is hard enough in its own right, but being a millennial in love is definitely more work than any of us bargained for. Still, the rewards are never-ending (or at least they should be), and though being single is definitely all dandy, we shouldn’t let these mantras stop us from experiencing love in our 20s. How do you deal with your relationship status as a 20-something-year-old? Give us your own tips on how to navigate the journey by using the hashtag, #CampusCropChat on Facebook, Twitter or Instagram, and remember to follow us on Snapchat @asicpp!